A Caterpillar roll resembles the insect like appearance, as slices of avocado are wrapped around a sushi roll in an overlapping pattern. 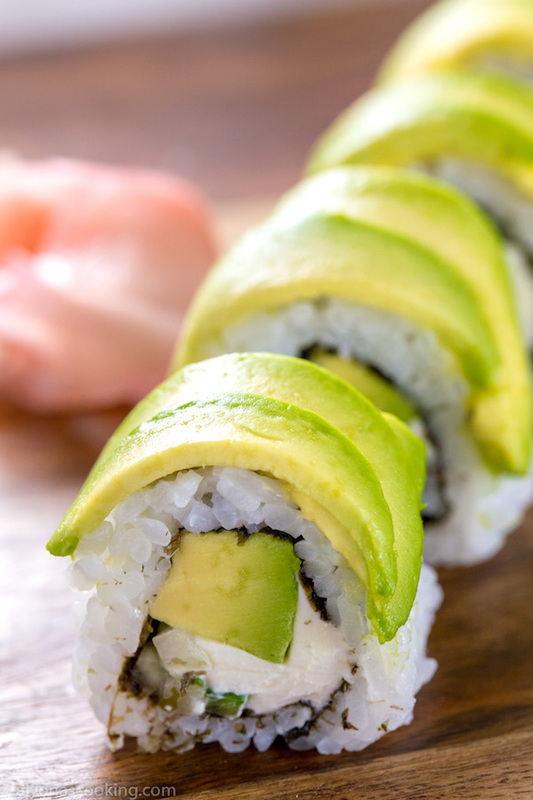 This caterpillar roll post is more of a tutorial on how to make an avocado topping for sushi. 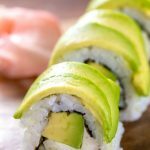 With this guide and some visuals you could make that appealing avocado top for sushi also known as the caterpillar roll! Commonly a caterpillar roll is filled with cucumber and eel but this roll has cucumber, avocado and cream cheese. Now for a full tutorial on how to make sushi rolls simply click on the highlighted link because this post is more about the “caterpillar look” made from avocado’s. If you haven’t been using sauces for your sushi rolls, I recommend you do–they give so much flavor! Eel sauce is also called sushi sauce and if you can locate a bottle–get it! It’s delicious, sweet and sticky and gives so much flavor! Drizzle that and some spicy mayo over the tops of your rolls to achieve that restaurant-style sushi! 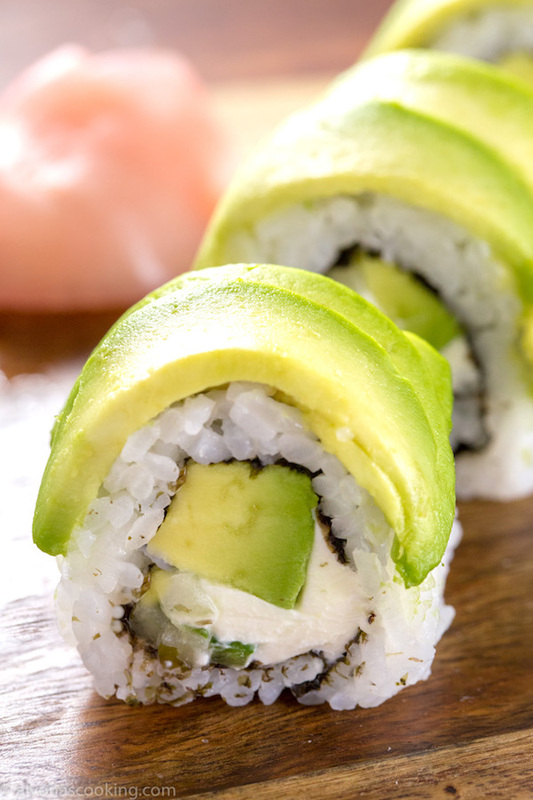 When using avocado in sushi, brush some lemon juice over the avocado to prevent the browning. And to take your sushi up some more notches fill your roll with tempura shrimp and top with tempura flakes–YUM! Sushi making can be versatile you don’t have to strictly stick to certain toppings unless your replicating a certain sushi roll, so creativity is forbearing. 3. Remove bamboo mat and with the ceramic wrap still intact, slice roll into 8 equal pieces. Remove wrap and drizzle with desired sauces. Remove bamboo mat and with the ceramic wrap still intact, slice roll into 8 equal pieces. Remove wrap and drizzle with desired sauces.